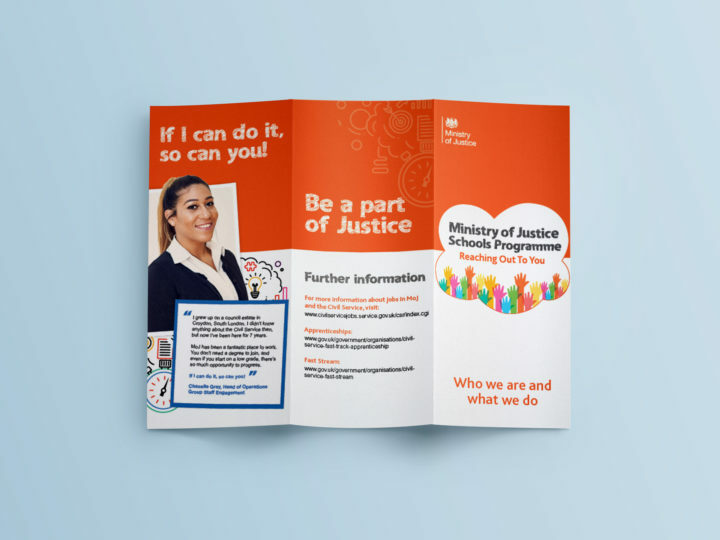 MoJ wanted to reach out to young people in schools so they would consider working for the Civil Service in the future. 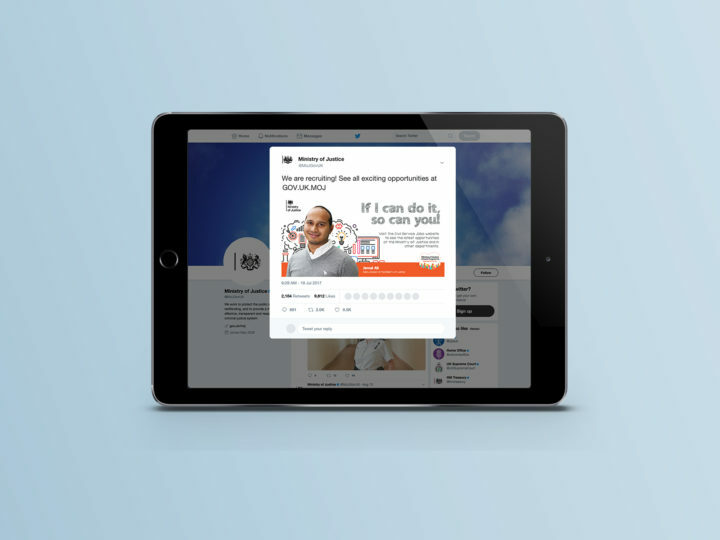 It was our job to put MoJ on the radar, celebrating the diverse range of people who work there and challenging stereotypes about what the Civil Service is like. 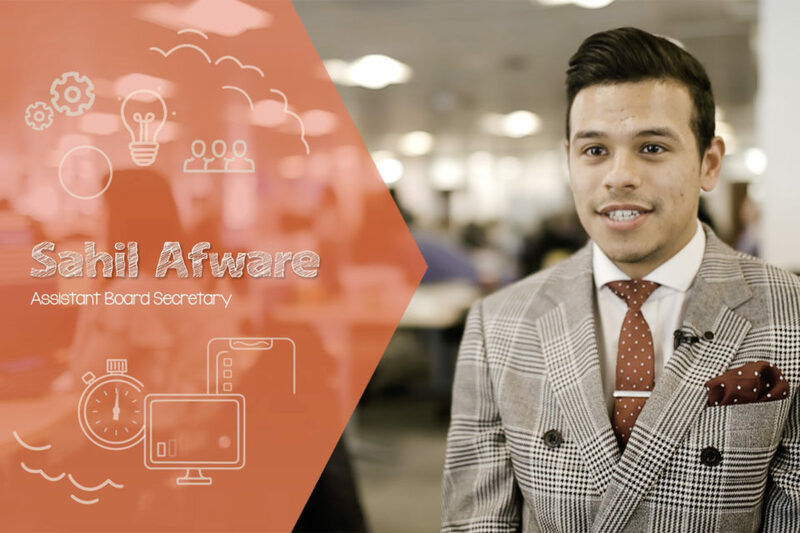 We focused on 6 employees in different areas of MoJ, all with a different story to tell. We spent a day filming with each character to create individual videos and a combined one. 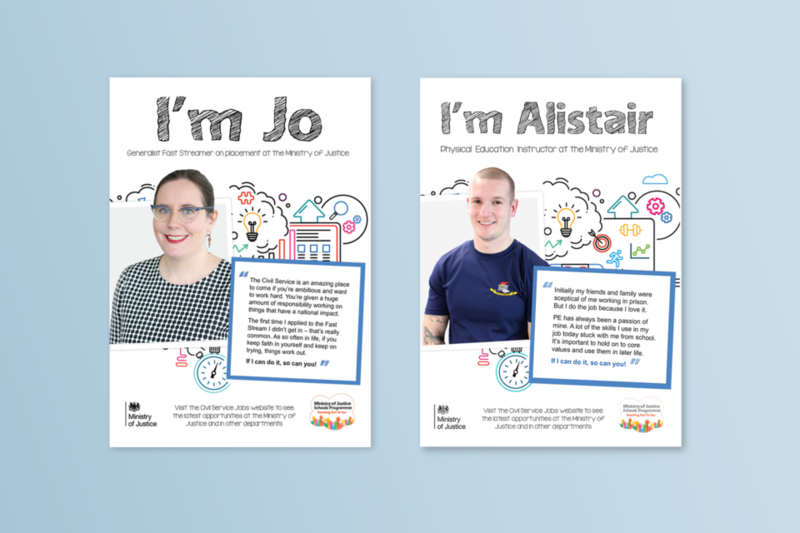 A fun and bright illustrative style was also developed to appeal to the audience and draw attention to the many skills that can be utilised working for MoJ. The look and feel for the campaign was extremely well received. The personal nature of the messaging has really helped to speak out to young people.